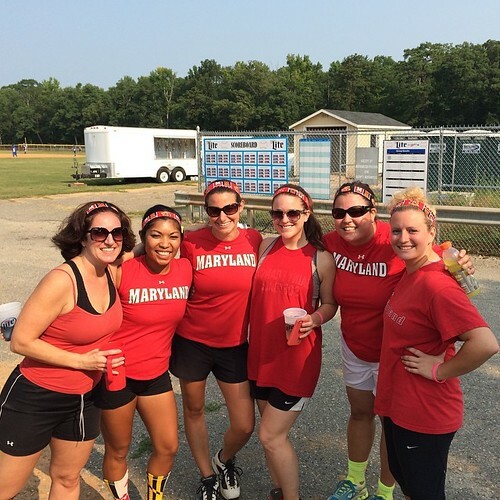 This weekend I had another softball tournament -- this time for my Maryland alumni team. The tournament for this league actually spans two weekends. This past weekend, 72 teams are broken into groups and play three games over the course of two days. 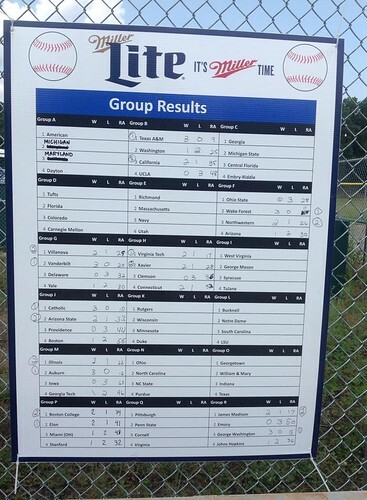 Much like the World Cup, two teams advance out of each group to make it to next weekend's elimination round. We had two games on Saturday (8:10 and 10:30 a.m.) and then one game on Sunday (2 p.m.). I'm so, so glad we had the late game on Sunday because after waking up really early, playing softball and then spending the rest of the day baking in the sun at what amounts to a 72 team epic tailgate, I was exhausted. In good news, we won all three of our games -- beating two of the teams in our group by the mercy rule and knocking off the team ranked #1 over all. So we've advanced to next week, and we'll find out today what time our quest for the championship begins. authors and practice something from their sites. Hello to every one, ffor the reason thst I am really keen of reading this webpage's post to be updated daily. My First Age Group Award!